Recently, I was at a quilting event and saw a picture of a churn dash block that had been cut similar to disappearing 4 patch. I've done several searches on the internet and just can't find it! Does anyone have a clue as to what I am talking about. Maybe this is what your talking about?? There is a guy in Alberta who has designed a lot of patterns using the disappearing technique. Though when I read his blog, I realized you could turn most any quilt block into a Disappearing pattern ... you just needed to experiment and try it out. I remember his blog ... he'd show a traditional, then say "what if" ... then he'd go a step further with another "what if" ... and then the creativity was rolling, and another "what if". Go for it ... and create your own! I can't remember if it was on here or another tute, but the 4 patch was taken and cut diagonally an inch or 2 down - both directions. Looked really complicated but was so easy. Could that be what you mean? Last edited by MartiMorga; 06-16-2013 at 09:10 AM. Thanks! and now I have bookmarked it and hopefully can find him another time! Thank you so much for the replies! I have checked all of your suggestions and came up dry But, I did see some really interesting ideas . 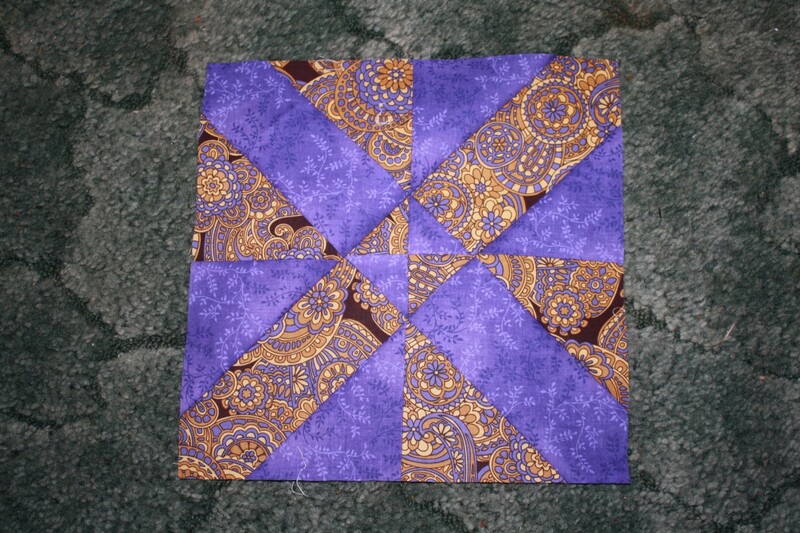 http://waynekollingersquiltblog.blog...ou-change.html is not really a sew and cut design but it is really interesting! Hi Neighbor! I haven't done this version of the disappearing four patch but I did a simpler version using two different Batik fabrics it came out really well. At least it will when I get it quilted. I made it as a wall hanging. Ah, Ah oo, oo it is there buried in Wayne's blog! Doing a happy dance! I have made one and I love the pattern. It is in the Pick Four book by Sue Abrey, I purchased the book at Connecting Threads, but have seen the book in other places. It was a little tricky making sure the blocks were turned in the right direction but it is a stunning look. Hope you find what you are looking for. Oh I love it. Thanks for sharing, I have to try these as I love the D4P and had so much fun with it. this loos too fun as well. http://waynekollingersquiltblog.blog...lock.html#more - Wow...that is so cool and easy! Glad you found what you were looking for! I found a lot of good links too, thanks! Thanks I book marked his site. I'm doing the disappearing 4 right now. but love what he does with the churn dash. Thanks for sharing Wayne's blog. I an currently working on the one cut diagonally. I love the way it is turning out. Wayne's blog is so fun to browse!! This site is amazing. Look at the tags on the right side, he shows how to design your own blocks> He has all the info a newbie or a not so new quilter will need to get started. Very interesting. I'm going to try playing with disappearing designs. What fun! Thanks for starting this thread.